AAA Triple Diamond Events Casino Party Rentals has THE BEST TABLES AT THE BEST PRICES, HANDS DOWN! AAA Triple Diamond Events Casino Party Rentals gets all their CASINO EQUIPMENT FROM LAS VEGAS....not from California!! 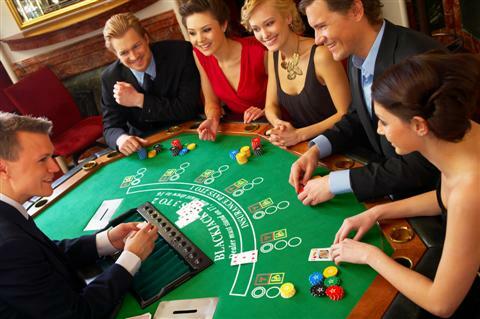 We carry Regular Casino Tables, Deluxe Casino Tables and our High-End Casino Tables from Las Vegas! *Deluxe Casino Tables will be included in ALL PACKAGES, based on availability. Not valid on previously booked events prior to 09.22.2013. In some cases, we may substitute a High-End Casino Table for a Deluxe Table at no extra cost. Thank you for choosing AAA Triple Diamond Events Casino Party Rentals!! Agoura Hills, Alhambra, Anaheim, Bakersfield, Barstow, Bellflower, Calimesa, Calabasas, Carlsbad, Cathedral City, Claremont, Colton, Coronado, Covina, Cypress, Diamond Bar, Duarte, El Cajon, El Segundo, Encinitas, Fontana, Garden Grove, Glendale, Hawthorne, Hemet, Hesperia, Inglewood, La Mesa, La Puente, La Quinta, Laguna Niguel, Lake Forest, Lomita, Los Altos Hills, Los Gatos, Manhattan Beach, Moreno Valley, Mountain View, Norco, Oceanside, Palm Springs, Pico Rivera, Pleasant Hill, Rancho Cucamonga, Riverside, Rancho Palos Verdes, San Diego, Santa Ana, Santa Clarita, Simi Valley, South Gate, Temecula, Torrance, Twenty nine Palms, Upland, West Covina, Westlake Village, Yucaipa, Aliso Viejo, Apple Valley, Baldwin Park, Beaumont, Banning, Belmont, Beverly Hills, Brea, Buena Park, Calabasas, Canyon Lake, Chino, Chino Hills, Chula Vista, Commerce, Costa Mesa, Culver City, Escondido, Gardena, Glendora, Grand Terrace, Huntington Beach, Indio, Irvine, La Canada Flintridge, La Mirada, La Quinta, Laguna Beach, Los Angeles, Lynwood, Monrovia, Montebello, Moorpark, Palmdale, Paramount, Perris, Placentia, Poway, Rancho Mirage, San Dimas, San Gabriel, San Marino, Santa Monica, South Pasadena, Temple City, Vernon, Vista, West Hollywood, Westminster, Yorba Linda, Arcadia, Azusa, Bell Gardens, Big Bear Lake, Brentwood, Burbank, Carson, Cerritos, Chino Hills, Corona, Dana Point, Del Mar, Downey, El Monte, Fullerton, Hermosa Beach, Huntington Park, City of Industry, La Habra, La Palma, La Verne, Laguna Hills, Lake Elsinore, Lancaster, Loma Linda, Long Beach, Los Altos, Malibu, Mission Viejo, Montclair, Murrieta, Newport Beach, Orange, Palm Desert, Palo Alto, Pasadena, Pomona, Redondo Beach, Rialto, San Bernardino, San Fernando, Santa Fe Springs, Thousand Oaks, Tustin, Victorville, Walnut, Whittier, Woodland Hills. Copyright © 2018. AAA Triple Diamond Evens Casino Party Rentals. All Rights Reserved.